Render Sp. Z o.o. has all the necessary powers to provide services for the domestic and international transport . 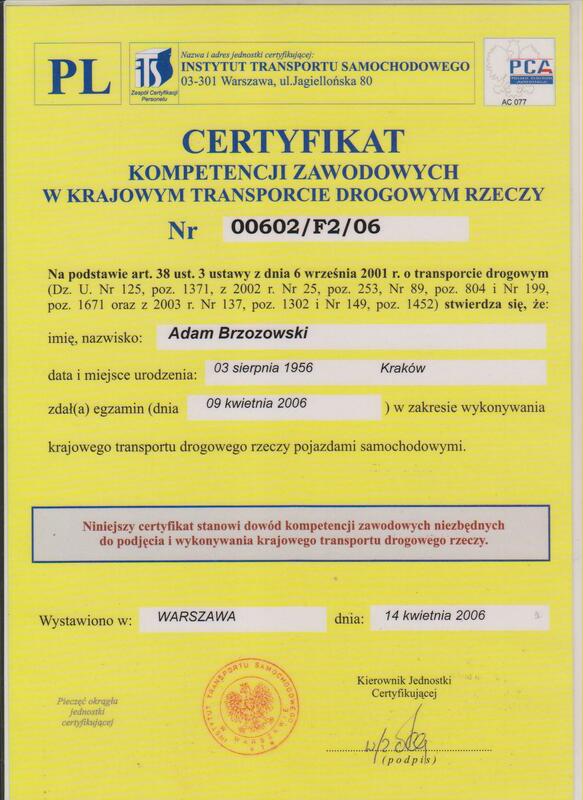 We provide you with downloadable documents confirming our credibility in the field of transport.